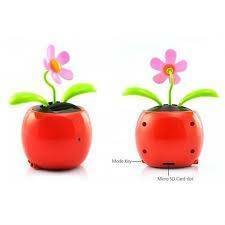 Flowerpot with hidden camera for use indoor without being noticed. It looks like a normal decoration without drawing attention. 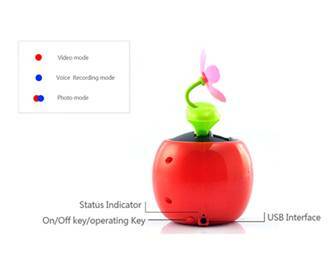 The hidden camera can capture still photo and video, record voice, works as Webcam with computer. The built-in battery can be recharge by the solar panel or from computer USB port ( USB cable include). 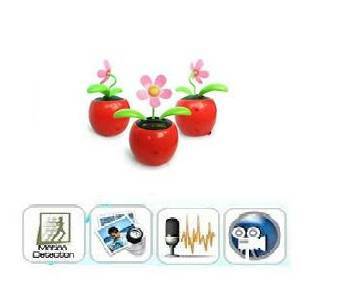 Functions include HD camera shooting movies, HD shooting pictures, fine voice recording, computer camera, encryption removable disk etc. Ideal for landscape shooting on bus, snap photography, emergency record, slice of life record, leisure and entertainment activities record, sports record, teaching supplement record, family security monitoring, criminal investigation evidence taking , landscape shooting, our door exploration record, memory aids, etc.